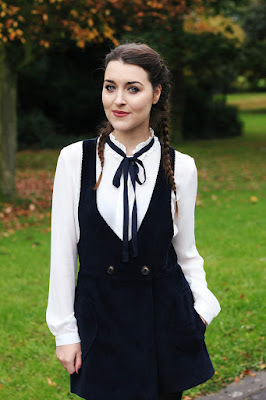 It feels like forever since I've put together a fashion blog post and I've really missed it. Life has been a little bit crazy in the last few months- but in the best way possible! I've been lucky enough to go on a couple of holidays, and I just fell out of my little blogging schedule. Sometimes working full time and trying to run a blog can be a little frustrating as quite often it rains on the weekend, making it pretty tricky to shoot an outfit post. 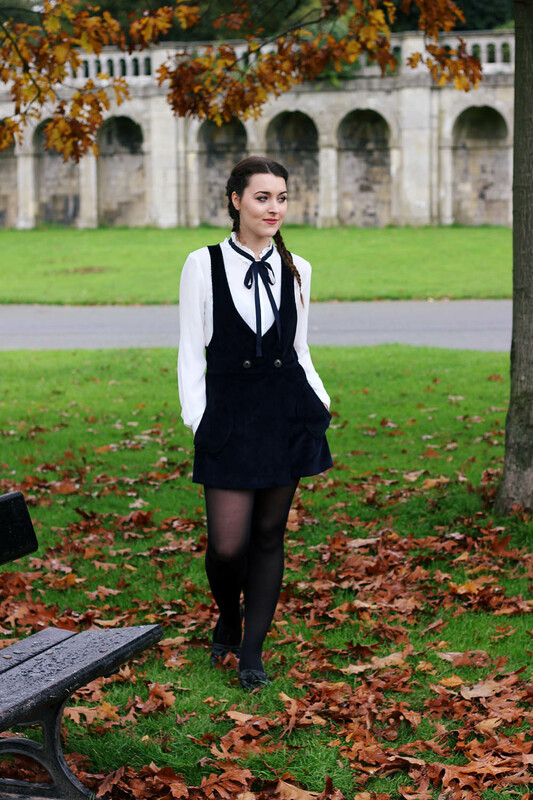 So last weekend I was determined to take some outfit photos whilst there were still plenty of Autumn leaves around. I absolutely love the way they look in the background of photos. 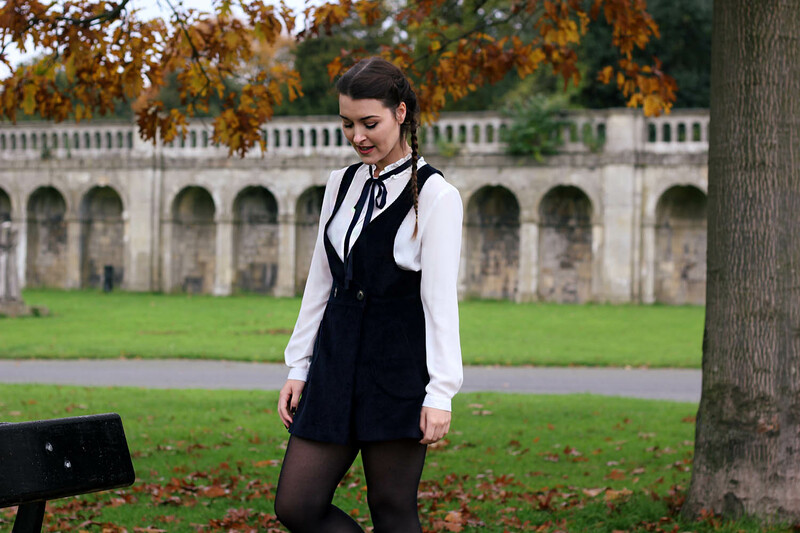 My boyfriend and I drove over to a very drizzly Crystal Palace park to snap this Topshop cord number, (thank you Liv for tweeting about this playsuit)! Now, I may not wear it quite as well as Gigi (check out Topshop's A/W campaigns to see what I mean). 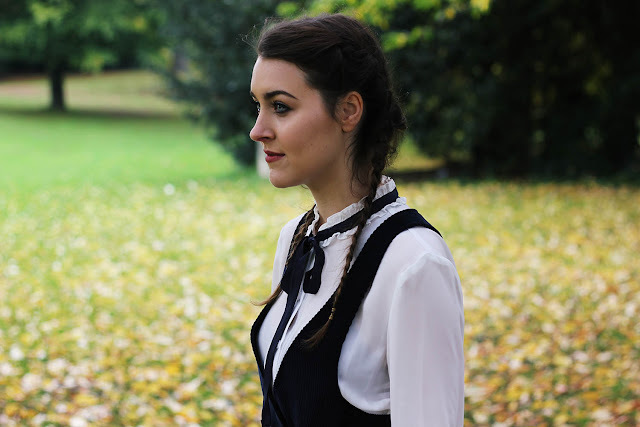 As Halloween is coming up I thought I'd give it a bit more of a Wednesday Adams twist and then continue to dress like her until Winter is over. Who could blame me? 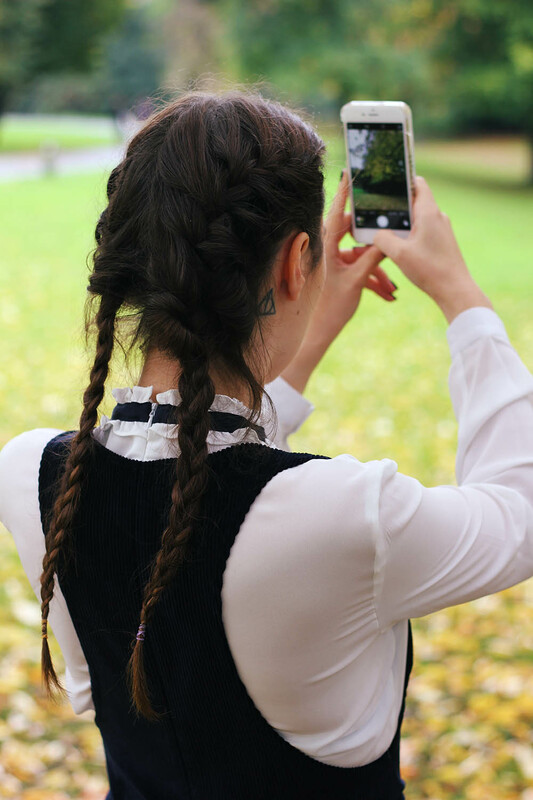 Why wouldn't you want to wear collared dresses, black tights and plaits for the next few months...? Love that little tie around your collar! Thanks, it actually comes with the playsuit which is fab! What a cute playsuit! I love the top itself and wish it was sold separately! I do too, that's my only issue with it! When i saw this on gigi hadid i fell in love and now wish i'd bought it! !